I generally avoid writing columns on buildings that are for sale; this column wouldn’t be what it is if I was expected to write about whatever happens to be currently on the market. On this occasion, however, I spotted one of my favourite buildings for sale in an Austin Gray advert. Whenever the subject of great films comes up in conversation, I usually don’t mention ‘The Godfather’. It may well be the best film of all time according to me but it would be number one for many others too so raising it would be, well, obvious and boring. The same goes for buildings. Most conscientious people have strong feelings for Brighton & Hove’s most famous buildings and compositions – the Royal Pavilion, Brunswick Square, Lewes Crescent, the Grand Hotel perhaps, etc. Identifying one as a favourite would be an academic and uninteresting exercise. The cottages of Frederick Gardens, Montpellier Hall, Portslade Lodge, and several others that I’d even pay over the odds for (so won’t be writing their addresses here!) all feature in my list of top ten buildings. 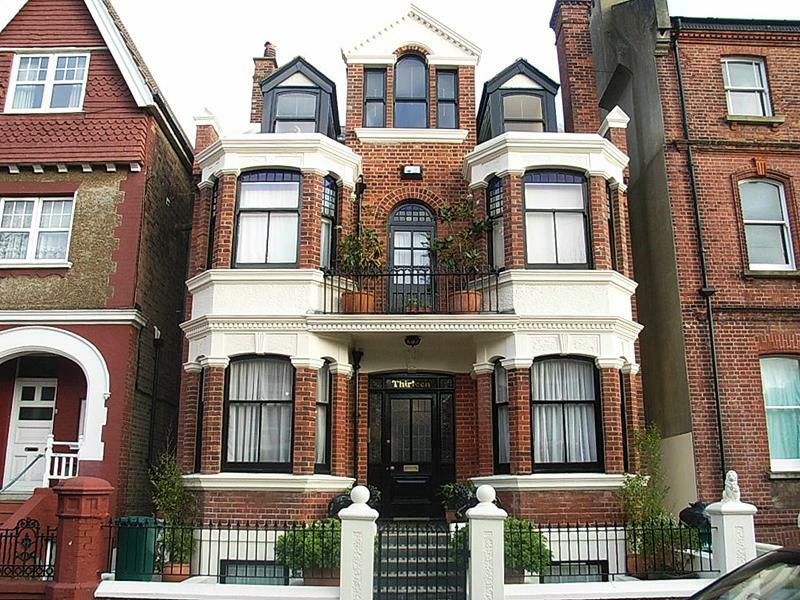 13 Sackville Road, currently on the market for £1,150,000 features high on that list. Sackville Road, originally called Hove Drove, was developed from the late 1800s in a variety of architectural styles. No. 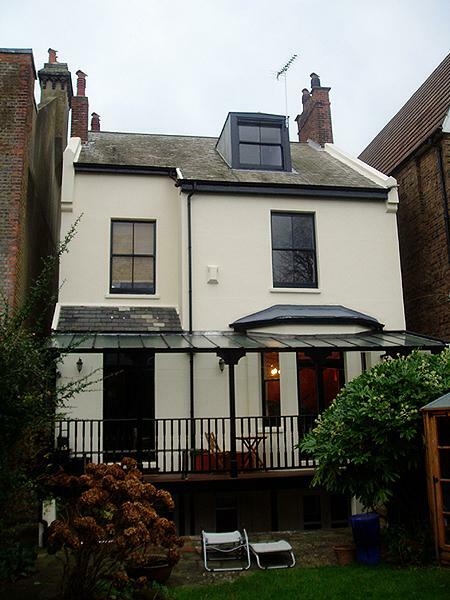 13 is a completely unique four storey detached property amongst semis and terraced buildings. Many buildings nearby have been ruined by conversion though No. 13 is a five bedroom house and it comes with the added benefit of a two bedroom self-contained flat beneath. New York City is famous for its distinctive brownstone rowhouses. My love of New York is perhaps what draws me to No. 13 as it shares many of the brownstones’ characteristics, not including, of course, the stone obviously. It has great symmetry externally but inside it’s a completely different story. Great features internally include an interesting layout along with a black and white geometric mosaic hallway. A responsible purchaser would seriously consider putting effort into bringing back some of the lost original features such as the fireplaces. The garden is massive though it’s a shame that there is no access from the basement flat to it. The greatest asset of 13 Sackville Road is its satisfaction of a great general principle. It is markedly different to its neighbours yet it sits there solidly in perfect harmony. I wish that it was like that more often.